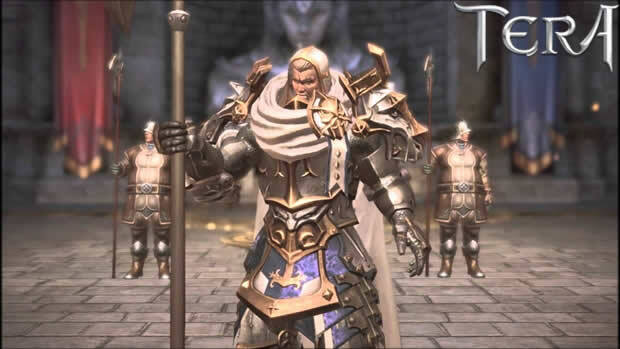 TERA Berserkers primarily focus on making themselves stronger and your enemies weaker, enabling them to drop truly gargantuan attacks upon their heads. 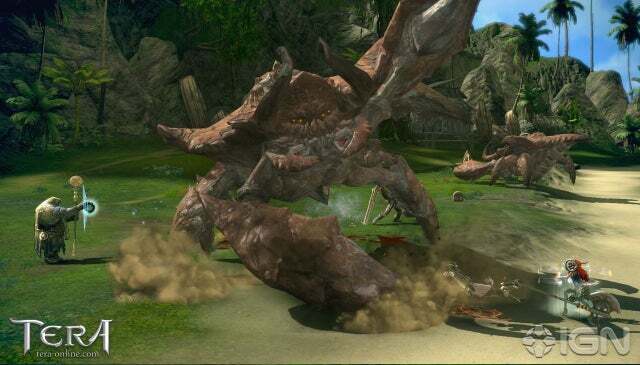 It is for this reason Berserkers are very powerful DPS class, but this comes at a price, as to do the most damage, they must maximize Buffs, Crystals, and Glyphs and require proper positioning to make the best use of these powerful hits. When you think of Berserkers, you think of a front-line fighter that is designed to get in the fray and attack brutally, and this is exactly what the Berserker does. TERA Berserker class does not dodge or otherwise avoid attacks. Instead, the Berserker wears heavy armor and blocks with their axe. This allows them to stay in the fray at all times. When another class might be forced to evacuate in preparation for a particularly large attack, TERA Berserkers can stay and take it. Similar to TERA Lancer, Berserkers use blocks; however, blocking for Berserker is decidedly different. For one, Berserkers offer no defensive bonus to players behind them, and blocking costs a small chunk of mana to drop down. But unlike Lancer block, Berserker block will not consume mana beyond the initial cost, along with absorbing less damage overall. It is also important to note that, when a Berserker blocks, he is able to cancel his normal combo attacks as well as charge attacks, as long as he is charging when he blocks and his skill has not yet fired off. When in the right hands, Berserkers are easily one of the strongest damage classes in the entire game, along with TERA Sorcerer Guide. The hardest-hitting attacks require charging, and in chaotic battle,the enemy might not be there when you are ready to let loose. In addition to this, Berserkers suffer most from the lack of mobility during combat and the inability to cancel their attacks once they’ve gone off. 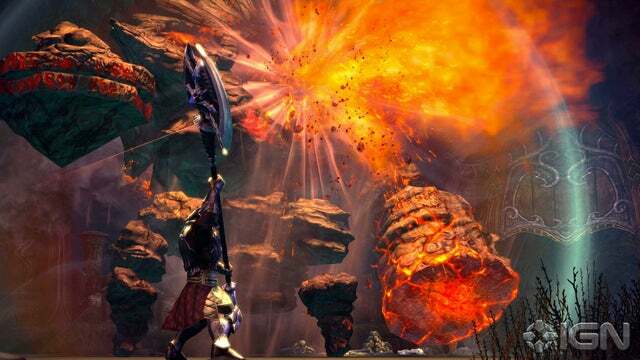 Thus, TERA Berserkers depend more on timing, positioning and aiming than any other classes to deal the highest damage. 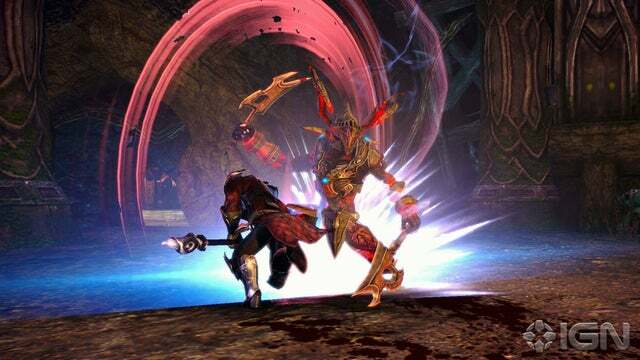 However, the payoff for this is the massive burst, single, and AOE damage that they can dish out in frighteningly quick order, making TERA Berserker become one of the best classes to have on your side. TERA Berserker use three main damage-dealing abilities to maximize their effectiveness in combat. The first is Cyclone, the first ability that Berserkers will get, and it is one of their strongest. Against multiple enemies, Cyclone is easily the second hardest hitting AOL ability in TERA. It is important to note that Cyclone has a travel distance, and you will move in the direction you were aiming after using it. The second ability is Flatten. Flatten is the very second ability TERA Berserkers will get, and it starts off as one of our most powerful, but diminishes in strength later on. It has a high windup time, but it does high, close-range, AOE damage to all those who are hit by it. It has a powerful knock-back effect tied to it, which is useful for setting up long charge up attacks. Keep in mind, the Flatten is your third hardest hitting ability, and even though its damage is high, it’s cool down and longer windup is useful only for filling gaps in the Boss’s attack when you don’t have time to charge up. The final ability is Thunder Strike. Thunder Strike is the third ability that Berserkers will get, and it is by far the strongest ability that Berserkers have. In certain situations against BAMS, Or against Boss’s, Berserkers will be using Thunder Strike primarily. This attack has a short distance, and the attack itself has a small area of effect to it. Keep in mind that against players or small enemies, if they get too close to you, this attack may miss, as it requires you to hit the enemy with the head of your axe. When a new item is released, it almost always starts out with a high price. This is because nobody truly knows what anything is worth until they start selling, and at first they are rare as most people haven’t had a chance to get one yet. There has been one outlier to this, which was Chronoscrolls in the past, but as far as I know there haven’t been any others so far. This part isn’t always the same, and it depends greatly on the items. Basically this is based on desirability. Although there may not be a lot of supply after an event ends or a sale stops, there may also not be any demand. As a result, the price would stay low. On the other hand, if an item is very desirable, its price will start rising and over time will become more valuable. TERA-Connector TERA is also a useful interface for broadcast communications technology (BCT). This connector allows for cable sharing, permitting users to integrate video, voice and data services over a single cabling link. It is particularly effective dungeon bosses that all have special abilities or bands that have the ability to fly away. It’ll take forever to go over all the proper times to use Leash. Half of the fun of being a lancer is learning when to use Leash on bosses and when to not. An example would be to use it on a drake that starts flying into the air preparing to do a flame barrage. Hitting them with the Leash will bring them back down to the ground instantly. You’ll find that quite a few dungeon bosses have abilities where they can run to the center of the room and start doing dangerous stuff like self healing or summoning masses of mobs. You can interrupt them from using this ability by hitting them with chain. Timing your chain uses can make the difference between a kill and a wipe, so make sure you use it wisely. Next up is an ability called Debilitate, but it’s easier to just call this ability sunder armor. It’s stacks up to three times in a mob and increases the damage the enemy takes by lowering it’s endurance. The next ability you’ll get is called Onslaught, and it’s just like it sounds. It’s like Charge, but you don’t get a movement boost. You simply run forward attacking anything in front of you. Missing this attack makes you run off like Moran, so make sure you use it on something you sure will stay still or is large enough that you won’t accidentally slip around it because it’s a high damage ability, but the bulk of the damage comes at the end of the cast, thus using on an opponent that is smart enough to moves makes it useless. PVP it is good only to use this ability after you have landed the stun. In PVE it’s the same thing or use it on a BAM while it is knocked out. Note that in towns there’s no collision, so if you duel inside a city, this ability will completely useless. It relies on collision to do it’s damage completely. Try to keep this stacked up for the entire fight no matter what you’re fighting. As the damage increases quite significant means that the mob that much quicker. The debuff only lasts 12 seconds un-glyph so every lancer I’ve seen, including myself, glyph it to last up to 30 seconds. That way you aren’t forced to re-stack it as often. The ability you will learn is called Shield Barrage and is your first major damage attack. This attack is good because it has multiple effects. It’s important to note that the ability is usable twice in succession. It will move you forward slightly when used, so it is a good way to move around an opponent while still doing damage. The second thing to note is that the second hit on the ability is a chance to stun your opponent. The stun is short, but there are a few ways to capitalize on it. I’ll go into that when we go over the next few abilities. The next ability you learn is your main damage ability as a lancer is Spring Attack, more commonly referred to as your power attack. This attack is exactly like your basic attack, only it hits a lot harder but has a longer swing timer. There are certain combos you can actually you can use to remove the swing time, however. The first and easiest way to remove the swing timer is by using the ability I just mentioned, the Shield Barrage. If you use Shield Barrage twice and then use Spring Attack, Spring Attack will cast instantly. These two abilities together are a great way to first set up yourself in a good position and possibly stun your opponent and then hit them with a powerful blow. Another good way to remove the swing time on your Spring Attack is to use it after you use your basic attack three times in a row like this. This is a good way to get mana back on a boss and then get some damage in for some agro. Your second ability that you start out with is called Stand Fast, also known as a Block. This ability makes you raise your shield up and protects you from all incoming damage from the front at the cost of mana per hit. It’s important to note that if mobs get behind you this ability will not work. It also drains mana more quickly based on the amount of damage you are blocking. The amount of damage you can block is relative to the amount listed on your current weapon. If a blow is to a class they might lose their agro, therefore the warrior has the ability to roll to evade their enemies. This character is able to sneak attack their enemy when doing a roll they can come up behind one and strike their enemy from behind, killing their unrepentant victim. The warrior is one to always be on the front line of the battlefield, and the only direction they travel after the front line, is forward. This character is not one to flee from fear, but to charge with power. Their armor may be light, but their attack ability is not. The Warrior uses both hands to deal damage and ultimately death to his enemies by his fearful twin swords. His light armor is great for his grace and speed of his attack, while his blades stun, stab, and slice the opponents. They are able to move out of their opponents view very quickly, then when the enemy’s back is turned, they strike causing damage to their prey. This character loves to play with their swords, using them to move in and out on the battlefield by a mere slice of a hand or two. Even when the enemies do not blink, they are still surprised by the attack of the warrior, slicing them and ultimately demolishing them on the battlefront. The special ability to dodge opponents and leap out of sight, gives them invincibility to the attack of an enemy. Their fighting ability increases as their level does; however, with having the agility with their blades they do not need much increase in their game play. Even though the warrior has speed and agility they still need the help from a mystic, priest, or sorcerer to heal from the blows of enemies or protect them when they are in a bind. Having twin swords and little to no armor, proves to be a disaster unless there is a healing hand around to help out. This character can only move but so fast and when placed against many enemies they might not get the chance to leap out of harms way, thus doing better in team play than solo.